We are saddened to hear the news of the passing of FDNY firefighter Christopher Slutman a 43 Year Old Staff Sgt in the United States Marine Corp and a 15 year veteran of the FDNY. Staff Sgt Slutman was killed by a roadside bomb on Monday near Bagram AFB in Afghanistan. The blast also killed two other Service members and one civilian contractor. 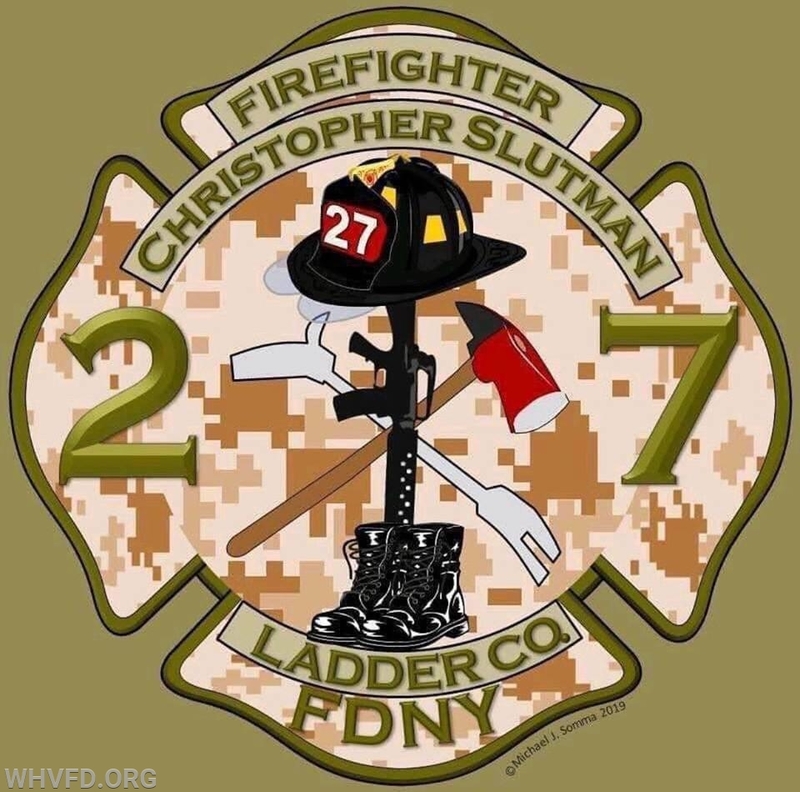 Firefighter Slutman was assigned to Ladder 27 in the Bronx and was also a member of the Kentland Volunteer fire company in Prince Georges County, Maryland. The Officers and Members of the West Harrison Fire Department would like to offer our sincere condolences to the Slutman Family and friends and to the members of the New York City Fire Department. We'll take it from here brother thank you for your service to our nation.